And last but hardly least, I pay the bills for this website. I don’t accept advertising and I don’t charge admission. Which means that this is my turf. Which means that I get to set the rules. So no, I really don’t have to talk about an issue if I choose not to. And I don’t have to stop talking about something that I do want to talk about. Your freedom of speech doesn’t mean that you can interfere with mine. It means that you’re free to do exactly the same thing … on any website where you pay the bills and you set the rules. Hey, thanks so much for educating and entertaining us so well! Love your work!! I love this, great post Judy! Looking forward to a great 2015! Thanks, Blaine! Happy New Year to you and yours! I love your blog and read just about everything you post. I love your sense of humor, too. Keep up the great work that you do. Maybe we’ll meet each other in April when you come to Indiana! Thanks for the kind words, and come on up and introduce yourself if you’re there in April, Darlene! Love your gift of explaining, and your wonderful sense of humor. Thanks for the kind words! Happy New Year! So true and enjoy all your posts. -explaining the legal and posting of family research. Great words for our advancement and research. 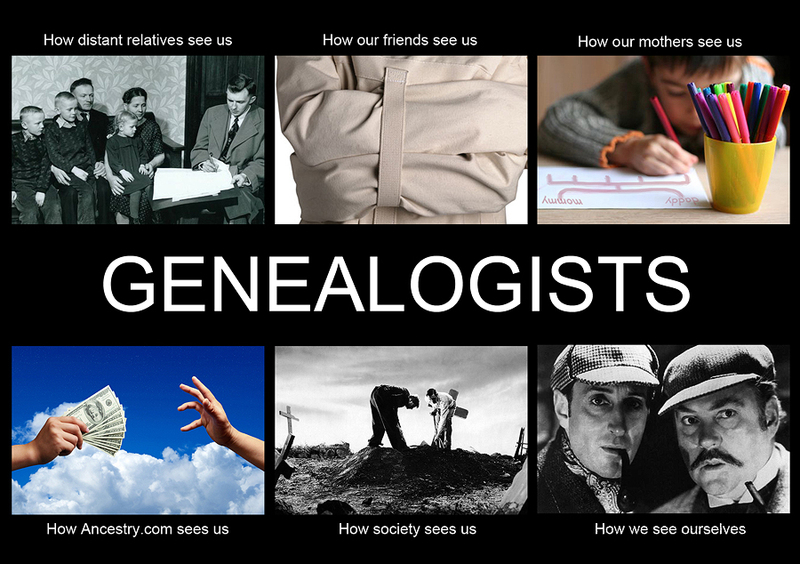 Love the picture of geneologist’s image with others, thanks for sharing! Can’t wait to see what 2015 brings to the world of tracking our ancestors. Credit goes to Jim Owston for that one! Never miss a post. Let us know when you are headed to the carolinas again. Thanks for the kind words, Charlie! Happy New Year! You and I may want to discuss Seahawks vs. Pats jerseys on the 2nd of February. Good rules! Your posts are always informative plus and enjoyable read. Looking forward to many more thru the year. All I can say is, misery loves company. We’re all hooked… and Michael isn’t writing nearly fast enough! Sue, yes. Win a suit, collect damages? Um… no. Oh, you have so much fun with your passions!! Cheers (clink) to another fascinating year. And my regards to your entire clan! Awesome, Judy! Thank you for your blog!! !